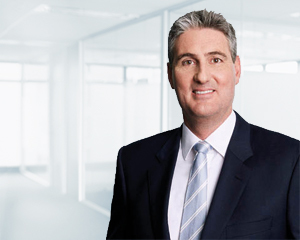 In his current role, Richard Hambly combines expertise in superannuation with significant experience in accounting and management consulting services for institutional and retail clients. Managing the SMSF Accounting, Compliance and Administration team in Canberra, Richard’s responsibilities include meeting new clients, training superannuation account managers and ensuring the team delivers high quality service to 1830 SMSF clients. According to Richard, Dixon Advisory offers self managed super fund clients a “complete service”. “Our service offers everything under one roof – from supporting the establishment of the SMSF through to ongoing accounting and administrative services,” he says. Richard is a presenter at Dixon Advisory’s Canberra SMSF education seminars, an informative introduction to self managed super funds, how they work, the benefits and investment options. He is also involved in the broader management of the firm’s Canberra office. Before joining Dixon Advisory in 2008 to take up his current role, Richard worked in various roles in the accounting and financial services industry. This included 12 years at KPMG where he was responsible for a portfolio of corporate and government clients. Richard has a Bachelor of Commerce and a Bachelor of Science from the Australian National University. He has also completed a Masters of Environment and Business Management from the University of Newcastle.